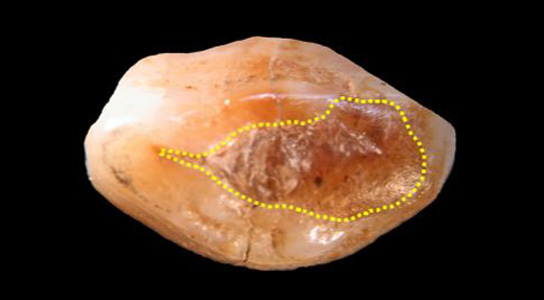 While there are plenty of new technologies going into dentistry, researchers have discovered an ancient 6,500-year-old tooth that provides one of the earliest examples of human dentistry. The scientists published their findings in the journal PLoS ONE. Ancient dentists treated toothaches with beeswax. Experts in Italy, who have been studying the 6,500-year-old jaw and tooth, which was found more than 100 years ago in Slovenia, think that beeswax was applied around the time of the person’s death, but cannot confirm whether it was before or after their death. The Lonche jaw from a karstic cave of southern Slovenia, which researchers were stunned to find contained a beeswax filling. If it turns out to have been applied before death, it was probably done to reduce pain and sensitivity from a vertical crack in the enamel and dentin layers of the tooth. Scientists from the International Center for Theoretical Physics say that the beeswax was used in non-alimentary activities, which could include weaving, generally performed by Neolithic females. There isn’t much evidence of Neolithic dentistry, so this specimen might provide insight into early dental practices. 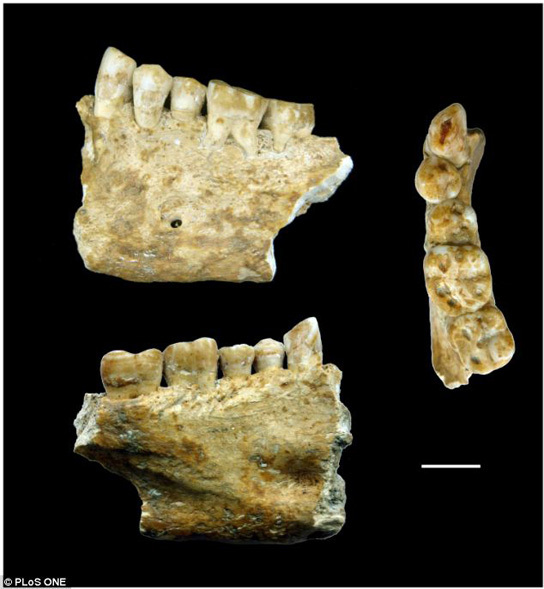 It might be the earliest known direct example of therapeutic-palliative dental fillings. Be the first to comment on "Beeswax Filling Dates from 6,500 Years Ago"